The cries of hopeless desperation fill the cold night air. The cost of de-risking defined benefit pension plans has officially reached insane levels. The real yield is negative, which, in plain English, means you now have to pay the government in order to lend money to the government for 20 years. Yes, that’s right. You lend money to the government when you buy an index linked gilt, and now they charge you for the privilege. Plainly, (you would think), only a madman or an ignoramus would even contemplate such a transaction. And yet, and yet. There remains a snaking queue for long-dated inflation-linked government bonds. Even at these “crazily” low yields (negative, in fact), pension plans continue to hoover them up. Che? The rest of this blog is explains why that is, and why it may well remain the case for some time to come. If you have read any of my earlier stuff you will know that for the last ten years I have obsessively advocated the systemic (and systematic) hedging of pension fund liabilities. The earliest published piece I can find dates back to 2003. I wasn’t the only one, by any means. For the best part of a decade, investment banks and asset managers have been united in urging pension plans to Keep Calm and Hedge the Liabilities. But for many pension plans, it was always “too expensive” to hedge, so they held off buying protection against plunging interest rates and rising inflation. They waited for interest rates to rise and inflation expectations to fall (i.e. a HIGHER real yield) which would have allowed them to purchase their hedges at more attractive levels. Pension plan advisers typically, consistently, and misguidedly, advised that in a mean reverting world, a higher real yield was a racing certainty, a sure thing; guaranteed. It wasn’t. They were waiting in vain; instead of rising, the real yield has plunged to depths James Cameron would struggle to locate. In fact it has turned negative. We are in the Mariana Trench. This is a catastrophic development and one that has caused much head scratching and general bewilderment. Why on earth, people ask incredulously, would a sane, rational investor continue to buy long dated government bonds when they could buy cheaper equities (or practically anything else) instead?? Much has been eloquently written about the negative impact of Quantitative Easing (“QE”) on the price of gilts and, no doubt, QE has not helped the pension crisis as it pushed gilt yields lower. A lot has also been written about the secular decline in yields across the world’s markets (and consequent soaring bond prices) as governments struggle to revive their semi-moribund economies. Both these points are valid and provide a useful backdrop to the crisis. 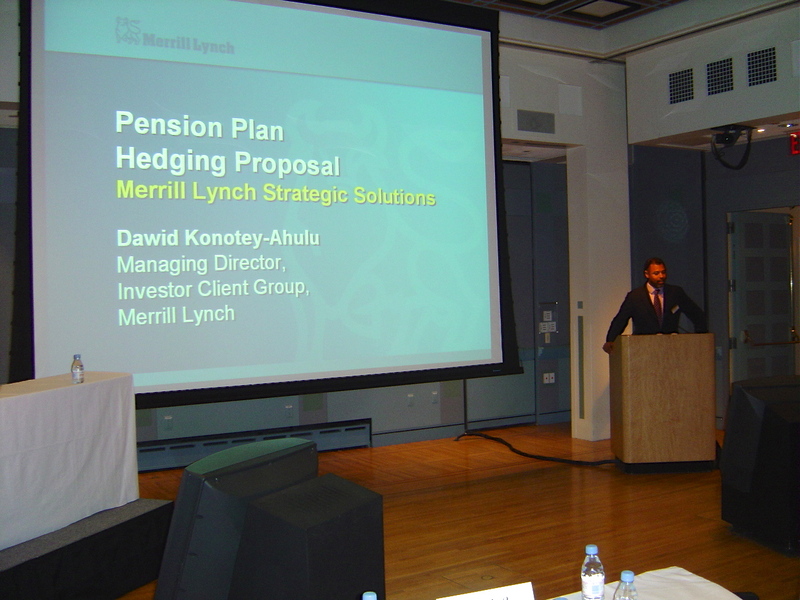 However, in our quest to understand why pension plans continue to buy bonds at these sky-high prices, we should also consider “The Big Short” otherwise known as “The Kerviel-Adoboli Principle”. This states that if you enter into financial transactions which you do not hedge (i.e. offset) at the point of undertaking, there will come a time when the cost of covering those positions will be higher than you ever imagined possible. In 2008, a previously unknown trader named Jerome Kerviel, employed by the French bank Société Générale, carried out a series of “unauthorised transactions” racking up gigantic losses as he traded equity index futures in a vain attempt to generate profit. The more he traded, the more he lost. 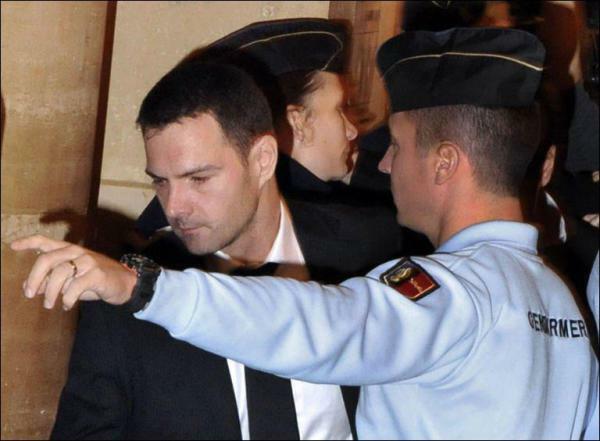 On 19 January 2008, Société Générale finally realized what Kerviel had done. Sacrebleu! On 21 January they began to unwind the intergaulactic positions. The equity index futures markets moved against the bank (to put it somewhat mildly) and, three days later, Kerviel’s transactions had cost Société Générale an incredible 5 billion Euros, give or take. In 2011, a young chap named Kweku Adoboli, a trader at Swiss banking giant, UBS, did roughly the same thing in the ETF (exchange traded futures) market. 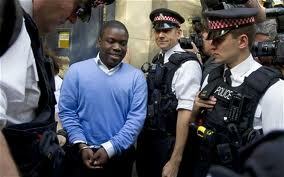 Like Jerome, our man Kweku failed to hedge his gargantuan and escalating position with any equal and opposite transactions. That’s because he was, as the lawyers would have it, a rogue on a frolic of his own. When UBS discovered the miscreant transactions, they immediately closed out the positions (just as Société Générale had done in 2008) at a cost of US$2 billion. “Я думаю, что метеорит просто поразил нас!“* as they say in Cheylabinsk. In both cases, in the days following their respective heart-stopping discoveries, the compromised banks transacted industrial quantities of futures contracts and, as they did so, the market quickly figured out that they were scrambling to cover huge positions. On both occasions, the markets moved heavily against the banks and Operation Close Out cost a fortune. Presumably, UBS and Société Générale could have attempted to manage their massive, uncovered futures positions tactically, by buying gold or pork bellies or US Treasuries or Australian farmland. In other words they could have utilised other attractive, cheaper, asset classes until the equity futures market reverted to more favourable levels. But neither bank chose to do so. Au contraire, Société Générale closed out its positions irrespective of the cost. As did UBS. That’s what a responsible bank (I know, I know) always does when it discovers an un-hedged short position. No exceptions. And that is what is happening in the bond markets today. As far as the recipient is concerned, it’s a perfectly fair (and enforceable) commercial bargain. Thus, the company (via the pension plan) is “short” liability-matching long-dated, inflation-linked assets in huge size just as surely as Société Générale and UBS were short equity futures in huge size. Some pension plans have realised this, and are now desperately attempting to cover their Super-Size Me short positions. The market is moving against them (that is what happens) and they are feeling the same excruciating pain that Société Générale and UBS felt as they bought up all the equity futures in the Western world. It’s cripplingly expensive to cover a short position. Pension plans that haven’t hedged yet, have been seduced by the beguiling argument that, prima facie, equities look cheap to bonds right now. No kidding. That’s because equities, gold, pork bellies, etc, are not what pension plans are short. The price of those assets relative to long dated bonds may be cheap, or expensive, or the same, (due to their own idiosyncratic supply and demand factors), but defined benefit pension plans globally are systemically and chronically short ONE asset: long-dated bonds. In the UK, pension plans are specifically short long-dated inflation-linked bonds. As the price of inflation linked bonds goes UP, the real yield goes DOWN. Always. For those of us who prefer graphics – here’s the Killer Pic. It’s a graph of the 20 year real yield. Notice how it has fallen by 2% since that talk back in October 2003. Like it or not, this was always going to happen. Just as intense commercial pressure to deliver cheap beef means supermarkets use horse instead (it’s cheaper – if you know where to get it), the Big Short was always going to lead to a supply / demand imbalance in the bond markets. It was inevitable. Trying to understand why long-dated inflation linked bonds are so expensive, is a bit like attempting to figure out why a maisonette in Kensington costs £14.5 million. You cannot do it by calculating the number of bricks used to construct the apartment, working out the time it would take to build and multiplying that by the unit cost of a building firm’s billable hours. No. The cost of the maisonette in Ennismore Gardens, London, SW7, is the number of pounds sterling a Russian or Chinese or American billionaire is prepared to pay for it, because he or she is, well, short a pad in Kensington. The maisonette is plainly expensive relative to a seven bedroom house in Kilburn, but the oligarchs are not short a place in Kilburn. Even if it has seven bedrooms. Sadly, for the good folk of Kilburn. By all means blame regulation, accounting, sponsor pressure, QE, low growth, President Hollande, or the Food Standards Agency, if you will, but, make no mistake, the world’s defined benefit pension plans are firmly ensconced in a regime where they have no choice but to cover their short positions. So, coming back to the Kerviel-Adoboli Principle, you could reasonably argue that, for the last ten years, every time a pension plan chose not to close its short, long-dated inflation-linked position (using bonds and/or derivatives) and elected instead to invest in “more attractive, better value, growth assets” it was as though the CEO of Société Générale decided that tomorrow would be a better day to close out Monsieur Kerviel’s un-hedged transactions. Unfortunately, as many pension plans are discovering, tomorrow has a way of never coming. *I think a meteor just hit us! I'd only take issue with the words, "Sadly, for the good folk of Kilburn." There are many good folk in Kilburn who would be delighted to buy any kind of property and who think that prices are already absurdly high without the presence of the oligarchs. Dawid: very perceptive, as ever. Yes, as plans get desperate, the queue for gilts is lengthening. But there are also audible voices in the queue questioning whether LDI can futureproof the pension promise. At today's ultra low yield, cost is one factor. The other is the realisation that measuring liabilities is a very inexact science, fraught with too many wild variables. A lot can go wrong before the payout. Worse still, what if there is a defeat on the part of government or other counter party. Without economic growth and reforms of public finances, this is not so improbable. Amin – that's a great comment, thank you. My piece on the Kerviel-Adoboli Principle is not advocating wholesale hedging at these levels; I'm just explaining why the cost is where it is and might get even higher, not lower. It's dangerous to assume that, with the passage of time, all will be well. 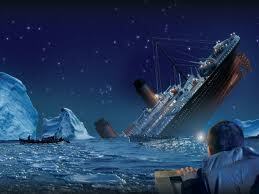 There were many on the Titanic who assumed everything would turn out alright. I agree that blindly buying LDI protection at these prices doesn't make sense. The cost of protecting against falling interest rates and rising inflation is now unarguably sky high. But, conversely, the undeniable truth is that a pension plan without comprehensive protection in place, remains short of the one asset it needs: reliable, long dated, index linked cash flows. Self evidently, that's not a good place to be. At some point, the pension plan will inevitably be obliged to cover that short position otherwise, absent Divine intervention, the members will not all receive their benefits. In my view, neither the challenge involved in calculating the precise quantum of liabilities, nor the risk of the government failing to stimulate economic growth will change that unpalatable fact. Delaying action for either of those reasons is like refusing to get into the life boat because one does not know exactly how far one is from land, or because the owner of the lifeboat might go bankrupt one day. My recommendation is to come up with a clear action-based game plan to cover the short position. That involves a tough reality check, smart timing when it comes to covering the short, sophisticated risk analytics, pre-set market triggers, world class advisers and a highly trained investment committee.